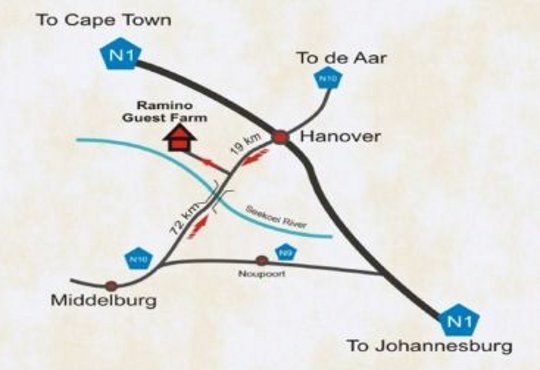 Situated in the heart of the Great Karoo, Ramino Guest Farm is the perfect stopover between Cape Town and Johannesburg. The guest house is a renovated historical farm house with 5 bedrooms with on suite bathrooms of which 1 is a family room. Each room has its own entrance to the stoep and garden. Fully equipped open plan kitchen with dinning room/lounge, built-in braai/fireplace for the self caterer. Come and enjoy the peace and quiet, clean and fresh atmosphere. Situated on a functional sheep farm, you can have an insight of life on a Karoo farm. Go on hiking trails, mountain biking trails, horse riding and sleep in the veld under the Karoo stars and experience the nocturnal animal live. Zebra, Blue wildebeest, Springbuck and many more can be seen on the game drives witch end with the feeding of wild horses. Sundowners can be enjoyed on a lookout spot while watching the sun set over the great open Karoo plains. 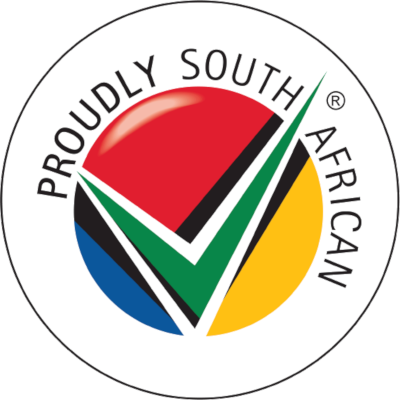 Come and enjoy traditional South African Farm cuisine and hospitality with the residents or do your own thing and relax at the swimming pool. If you stay for one night or more, we guarantee that the star filled Karoo night will touch your heart and leave you re-energized. Come and visit us for a unforgettable experience. Double bed and en-suite bathroom. Family room with 1 double bed, 2 single beds and en-suite bathroom. We thoroughly enjoyed our stay. Were left alone to walk around on the farm with the friendly Jack Russells, light a fire and just relax while observing the stars. Linda, JP and their son were so welcoming and friendly. It was a typical Karoo farm experience and we will not hesitate to use the facility again. Thank you!! !